Carpet Care was established 2000 and is a family run business. All our staff have many years experience and are committed to offering every customer a personal service. The quality of our products and service is our top priority and we always offer competitive prices. If you are looking for beautiful carpets, rugs or vinyl flooring for your home or business, call today. We also make rugs out of waste offcut carpet with our carpet edging service. We have an excellent selection of flooring solutions available for you to browse at our store located in Well Street Porthcawl. We supply and fit flooring throughout the whole of South Wales, so whatever it is that you need, pop in to our shop in Porthcawl or give us a call on 01656 789006. Whether you require domestic or Commercial flooring we are here to help. We provide our service to a wide range of clients; from members of the public to large scale commercial contractors. 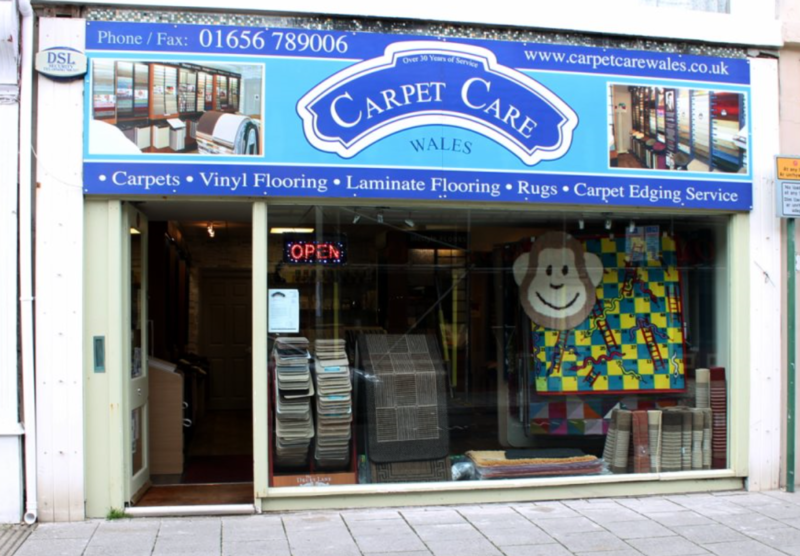 Just pop in to our shop in Porthcawl or give us a call on 01656 789006 and we can discuss your needs. Turn the waste from your new carpets into rugs with our carpet edging service. If you are a carpet retailer / supplier and wish to offer a carpet edging service to your customers, give us a call on 01656 789006 and we can discuss your needs.